The moment you pop the top on our premium Passionfruit brew, you can smell it from metres away. Real, natural and unique, just wait until you taste this star of our sparkling selection. 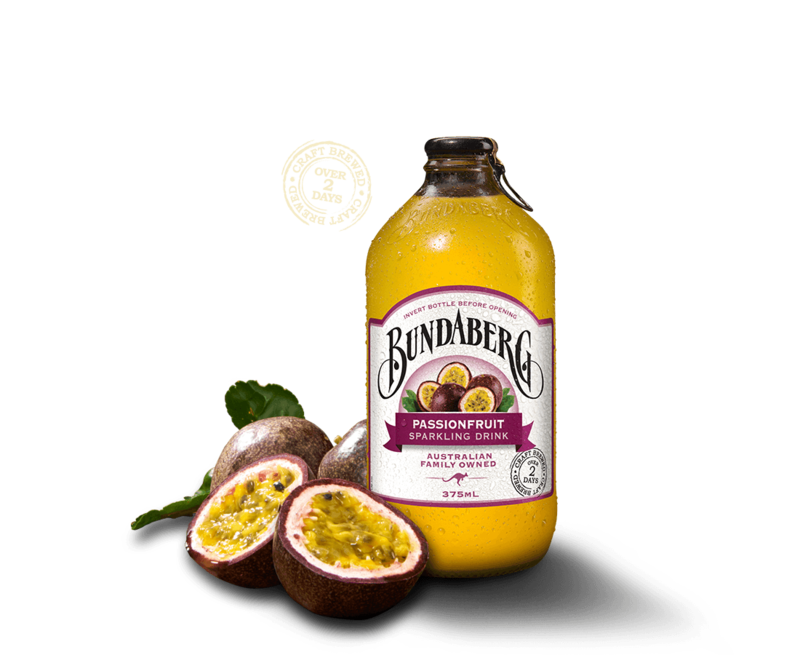 Ingredients: Carbonated water, cane sugar, passionfruit juice from concentrate (3.5%), passionfruit brew (water, passionfruit puree, sugar, yeast), acid (citric acid), flavour, stabiliser (pectin), colour (carotene), preservative (211, 202), antioxidant (ascorbic acid).